Stay up on all the changes with our Destiny 2 update tracker. As you might expect from that name, there are plenty of speed buffs. Glides, Catapult, and Strafe Lift are all faster, the mobility stat has been retuned to be faster, and everyone’s ground speed cap has been increased to make them – you guessed it – faster. 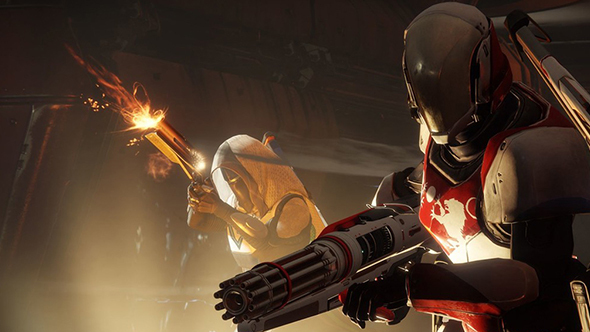 Supers will recharge faster for everyone, Arcstrider, Sentinel, and Striker are all accelerated and move at the same speed in their supers, and respawn timers across the board – from player deaths to ammo drops – are going down in PvP. You’ll even be getting power ammo drops from players you kill. There are also weapon rebalances intended to make shotguns, snipers, and fusion rifles more prevalent. Though they don’t have any specifics here, Bungie also note that they’re “continuing to evaluate” the game’s weapon slots, a fundamental change from the first game that’s reliably proven a point of contention among Destiny fans. They’ll be addressing their plans here in a future update.